GIS, franchise growth and economic recovery – go hand in hand. Rick Grossmann of Franchise Matchmaker recently sent this compilation of franchise facts and statistics to me from Brandon Gaille & azfranchises.com, that point out how franchises are helping the economy to recover. 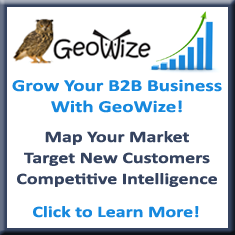 GIS is an effective tool that franchises use to select the best site for success and to grow their market by prospecting for more customers. The franchising model has been used effectively by many organizations to encourage business owners and for job creation. 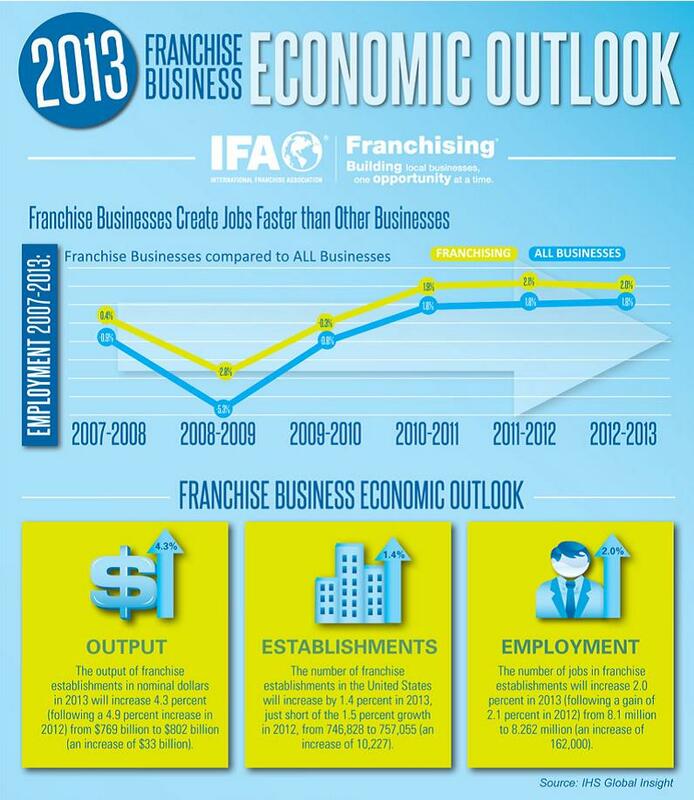 After the global recession of 2008, franchises have steadily recovered and helped stimulate economic growth. But what does 2013 and the future holds for this sector? According to HIS Global Insight has shown from 2007 until 2013, franchise growth through the the franchising business model has consistently employed more people than all other traditional businesses types combined. Further research from HIS Global Insight has come to some conclusions, regarding the future forecast of the franchising sector. It is expected that the output of franchise businesses in 2013 will increase by 4.3 % (following the 4.9 % increase of 2012) from 769 billion dollars to 802 billion dollars. That is an increase of 33 billion in nominal dollars. 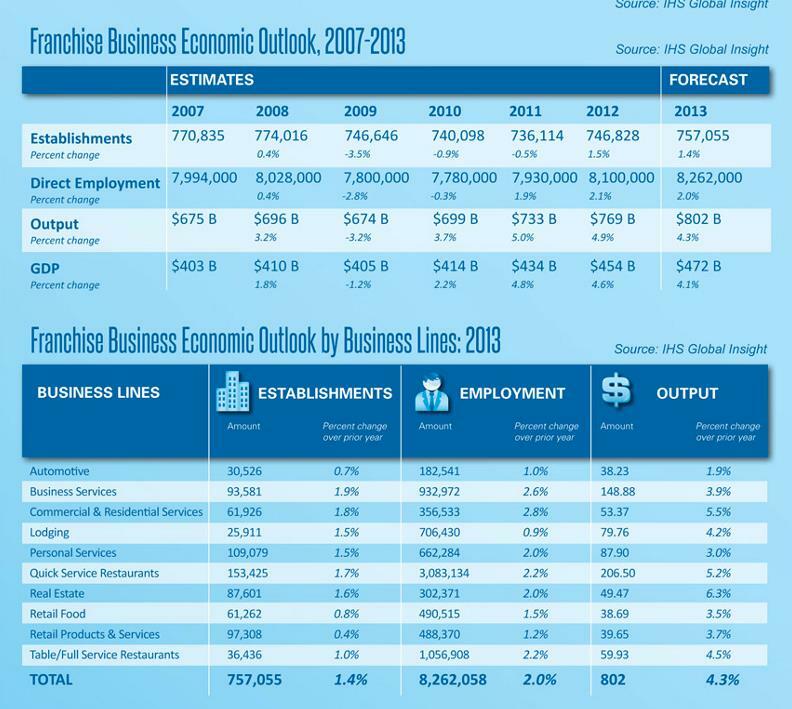 The amount of franchise establishments in the U.S. is predicted to increase by 1.4 % in 2013 (this is slightly short of the 1.5 % growth seen in 2012) from 746,828 up to 757,055. That would be a total increase of 10,227 in the number of establishments. The number of workers in franchise establishments is expected to rise by 2.0 % in 2013 (following an increase of 2.1 % in 2012) from 8.1 million up to 8.262 million. This would mean an additional 162,000 jobs created by franchise growth! There are many market sectors, which make use of the franchising model. 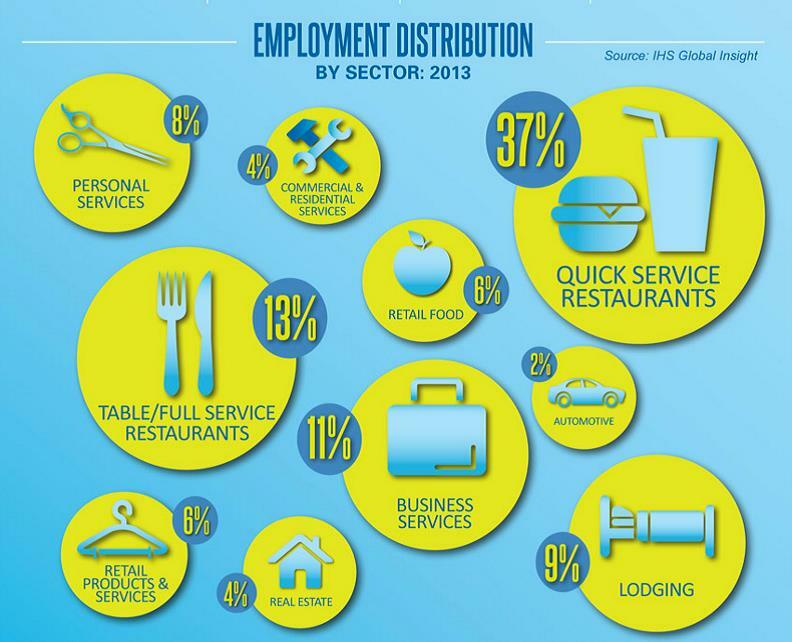 Here is a quick outline of the distribution of workers among various sectors in 2013. The previous information and analysis comes from Brandon Gaille: CEO of ByReputation.com, an internet marketing company specializing in SEO, social media, video production, web design, & reputation management.